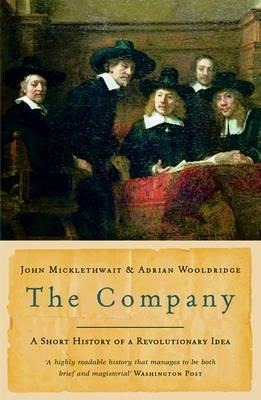 The Company: A Short History of a Revolutionary Idea by John Micklethwait and Adrian Wooldridge is indirectly related to my reading of the history of science and technology. The commercial world impinges on stories such as that of the development of the railways, the story of Mauve and Lord Kelvin’s work on telegraphy. Scientific expeditions were motivated, in part, and supported logistically by merchant interests. The “search for the longitude” was driven by needs of merchants and navies. The Company is particularly concerned with the limited liability joint-stock company, created in approximately its current form by the 1862 Companies Act in the UK but repeated across the world. In this system, the owners only risk the money they put into a venture (rather than all their worldly possessions), and shares in that company can be traded on the stockmarket. The book starts with some prehistory, there is some evidence in Mesopotamia as back as far as 3000 BC for arrangements which went beyond simple barter. And by Roman times there were various forms of company used for collecting tax, for example. The Romans also had a developed legal system. These arrangements tended to be relatively short lived and in the form of partnerships, where the owners were the managers and if things went wrong they could lose the toga off their backs. The Middle Ages saw the rise of “corporate persons” in Western Europe which included guilds, monasteries and corporations. The Aberdeen Harbour Board, founded in 1136 can lay claim to be the oldest still existing. In China there was a tendency towards large, long-lived state corporations. Italy had compagnie literally “breaking bread together” with shared total liability, and thus requiring high levels of trust. Banchi were the campagnies banking equivalents, often built around family ties. The relationship between banks and companies is a theme throughout the book. England and France were scarred, separately, by the collapse of the South Sea Company and the Mississippi Company in the early 18th century. Created in the spirit of the East India Companies, monopoly corporations with a Royal Charter, they came to grief through rampant speculation and dubious government decisions on debt. The railways provided the impetuous for the reform of company law. They required substantial investment, once formed they needed substantial workforces and management structures. In the early days each railway company had to make its case in parliament to gain its charter, this was a costly, slow undertaking. And so there were reforms culminating in the 1862 act. A quote attributed to Edward Turlow in 1844: “Corporations have neither bodies to be punished, nor souls to be condemned, they therefore do as they like”, encapsulates an ongoing concern about companies. This from a lawmaker but a similar concern was echoed by economists of the time, they thought that a partner or manager/owner was going to do better job of running a company than a servant of shareholders. The Company compares developments in the US, UK, Germany and Japan in the latter half of the 19th century. The US forte was in professionalising management, enabling them to build ever bigger companies. The UK had a more developed stockmarket but positively spurned professional management (a blight that has afflicted it since then). Germany had strong oversight boards from the beginning, complementing the management board. These included workforce representation, and companies were seen as a social enterprise. This is the second tension in the company: whether it is solely interested in its shareholders or whether it is responsible to a wider group of stakeholders which might include its employees, the local community, environment and so forth. The book continues with developments in the latter half of the 20th century, closing in 2002. 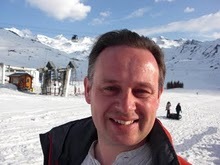 These include the wave of privatisations across Europe (the French keeping substantial government control), and the decline of many big companies. In the case of Enron and WorldCom these were precipitous declines in disgrace but there were also leveraged buyouts and subsequent dismantlings. Another theme here is the balance between transaction costs and hierarchy costs. Companies succeed when the cost of running a hierarchy is lower than the savings made by carrying out transactions in aggregate. These costs and savings change over time, transaction costs have recently been much reduced by technology. I was surprised by the recency of the commercial world we see today. The modern company and the stockmarket only really came into being in the final quarter of the 19th century with the great corporations rising to dominance in the first quarter of the 20th century. Harvard’s business school was only founded at the beginning of the 20th century. This is little more than a lifetime ago. The same is true of trade tariffs, they were initially introduced by the US and Germany in the 1880s with Britain and the Netherlands holding out as “free-traders” until 1932. One wonders whether this is the origin of Anglo-Dutch conglomerates such as Unilever and Shell. The book is not explicit on the differences between tariffs and customs duties and taxes – a clarification which I would have found useful. The authors are clearly enthusiasts for capitalism in the form of the company. The book is short and readable, and I felt enlightened for having read it. The bibliography has some good pointers for further reading.